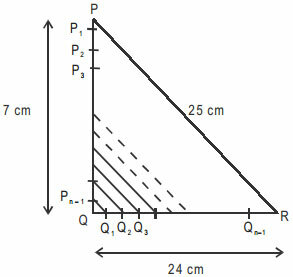 Question: In the figure given below, PQR is a triangle where PQ = 7 cm, QR = 24 cm and PR = 25 cm. 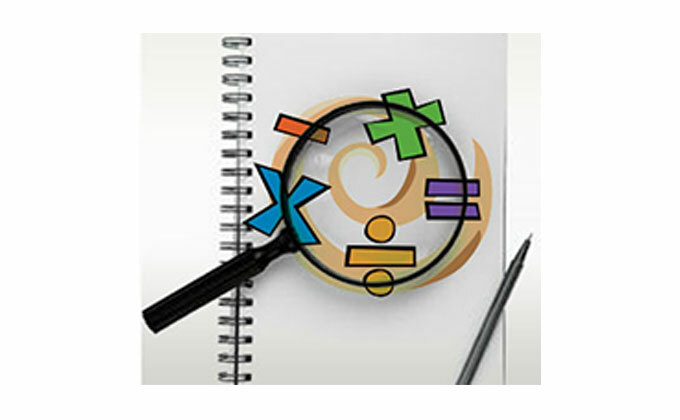 The sides PQ and QR are divided into ‘n’ equal parts by taking ‘n − 1’ equally spaced points on them as shown in the figure. 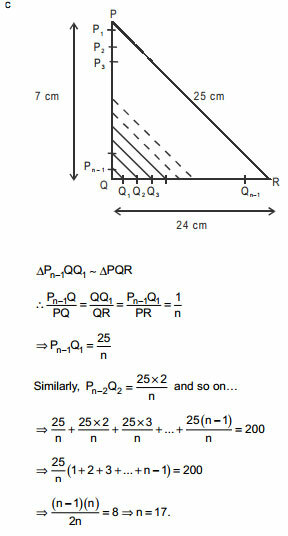 Pn−1 is joined with Q1 , Pn−2 is joined with Q2, and so on. For what value of ‘n’ will the sum of the lengths of the resulting line segments be 200 cm?